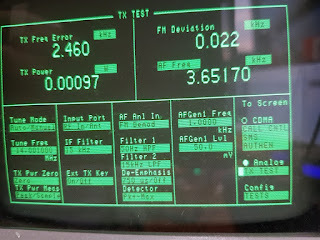 Advanced instruments are not required if there is a way to check the frequency. You only need a calculator. Be sure to read the following two articles before calibrating uBITX. 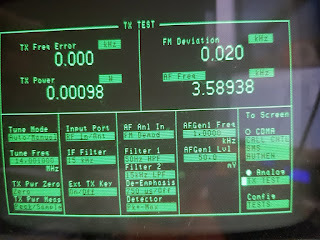 There are quite a few other ways to use the frequency counter, signal generator, oscillater the frequency with the VCO, use programs such as Wsjt-x, use different HF transceivers, WWV, already known popular beacon signal. 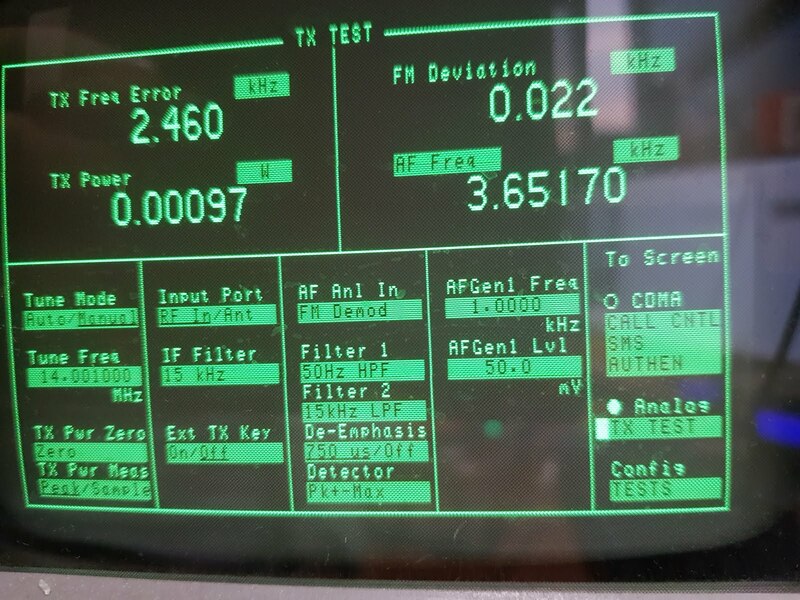 In order to make your radio more precise than a commercial product, you must remember the PLL Frequency. The PLL frequency is used to create the desired frequency. It is not a necessary this part to adjust the frequency of uBITX. 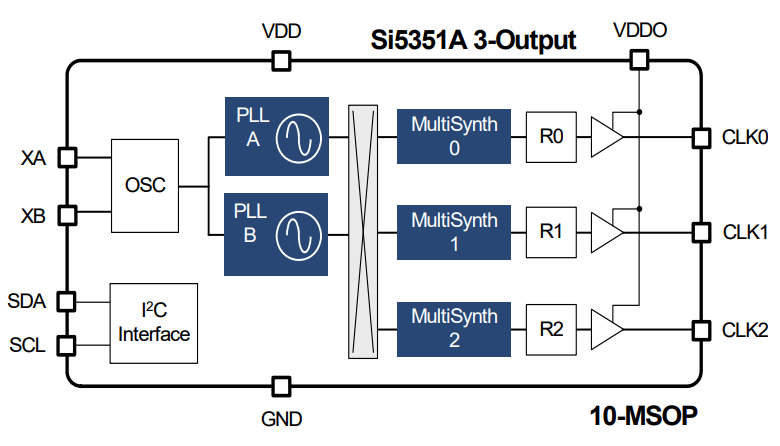 uBITX used a 25Mhz crystal to operate the Si5351's PLLA at 875Mhz. 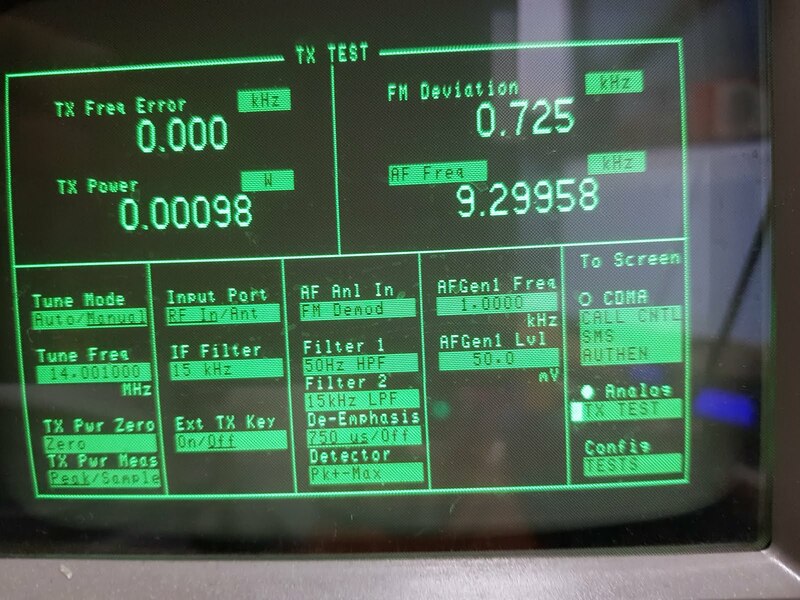 However, 875Mhz is not generated correctly due to X-tal error. There are devices that generate frequencies. The device manual states that the PLLA operates at 10000 Hz. The programmer wrote a program to generate one clock per 1000Hz to create 10Hz. 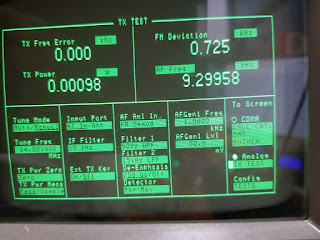 The programmer thought the PLLA was operating at 10000Hz. But what happens when the PLLA runs at 15000Hz? If a PLLA running at 15000Hz generated 1Clock every 1000Hz, then perhaps 15Hz would have been generated. An error has occurred as much as the difference between the PLLA operation of the programmer and the PLLA actually operating. The first way is to fix the PLLA. The PLLA is modified to operate at 10000 Hz. But there is a little easier way. The programmer is changing the predicted 10000Hz to 15000Hz. Perhaps firmware then generates 1 clock every 1500hz to generate 10Hz. 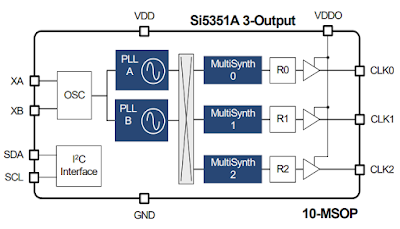 The second method allows you to generate the correct frequency without modifying the hardware. Do I have to program each of the devices by measuring the actual frequency of the PLLA on every device? The difference between the frequency of the PLLA that the programmer thinks and the frequency at which the actual PLLA operates is put into the EEProm. In the above example, the value stored in EEProm is 5000. As the device boots, it gets the value in EEProm and adds it to the programmer's thought PLLA frequency. 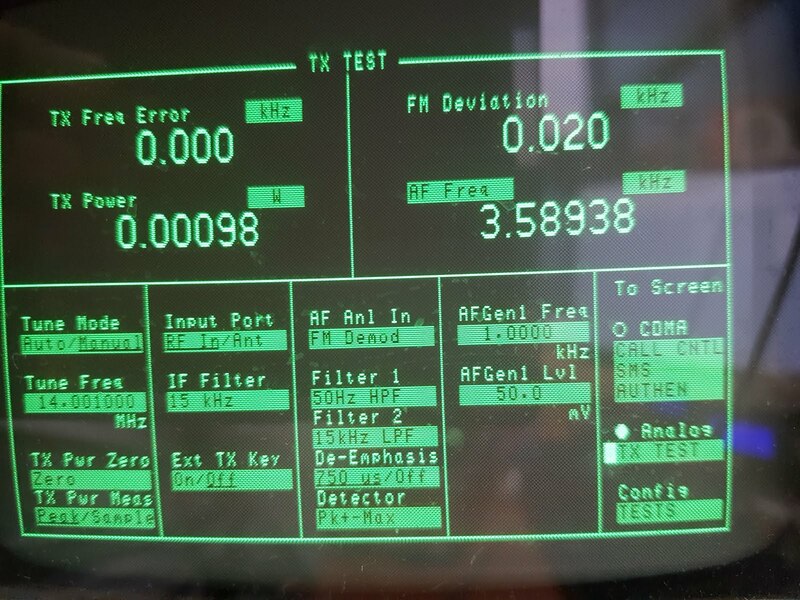 The firmware is written assuming that the PLLA operates at 10000hz. Actually, the PLLA operates at 15000hz, The result is 15hz. 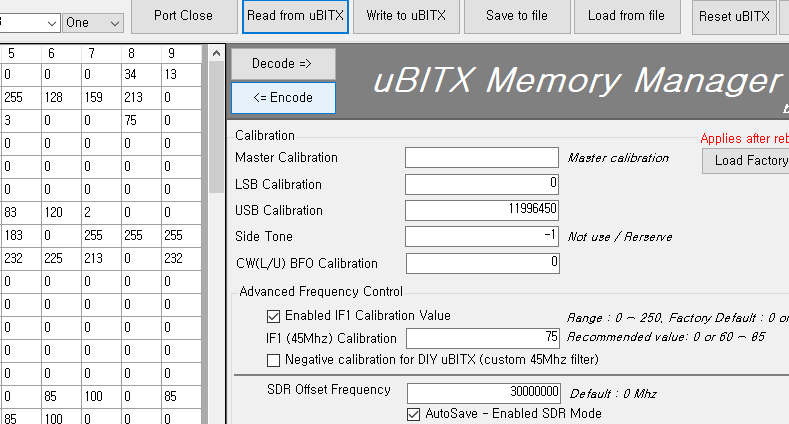 As the calibration value increases, the output frequency of uBITX decreases. 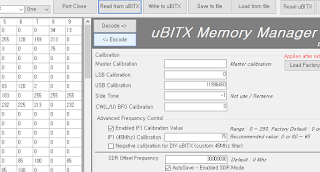 Decreasing the calibration value increases the output frequency of uBITX. 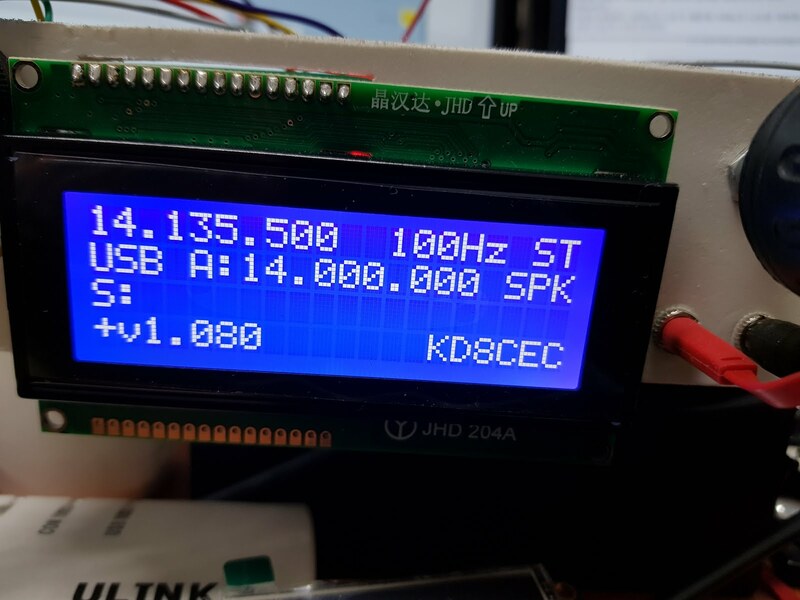 What should you do if your uBITX is below 100Hz? Yes. I need to increase the calibration value. So how much should we increase it? Here we must think of one more. What frequency did you test? Perhaps the result is that the actual frequency will be transmitted below 200Hz. That is, as the frequency to be tested increases, the error range will also increase. 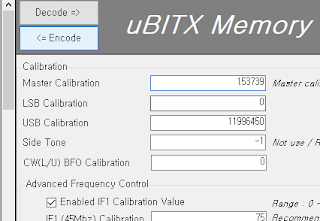 The formula for obtaining Master Calibration from uBITX is shown below. This is experiment with my uBITX, I removed the calibration value of my uBITX for the experiment. Thank you for this post. It finally gave me the missing piece to get my unit calibrated. Tests now show that I am on frequency down to 1 hz. Perfect tones on WWV, tested with tone output on another rig and fed the Ubitx into an audio analyzer. got the WWV 1000 hz tone right at 1000 hz USB and LSB, checked it outputting cw from my other rig at 800hz. got it nailed down. I sometimes use my smartphone's audio spectrum to check the LSB, USB's tone. I also have to thank you for this great post. This made my uBITX functional at last. After building it and playing around with the menu my alignement (Frequency and BFO) was off so much that using it was not possible. And I just could not reconstruct it. I tried to do the calibration with the method described by Farhan - without success. please check my version calibration uBitx.